U.S. REITs outpaced the S&P 500 in February and "significantly" outperformed the broader equity market in the first two months of the year, NAREIT says. 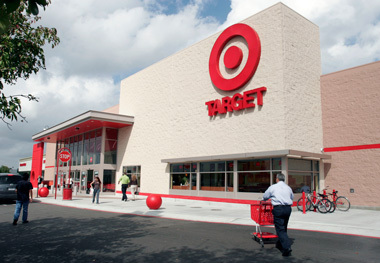 Target store in Houston. Freestanding retail REITs delivered a 16.37% total return in January and February. U.S. REIT returns outpaced the S&P 500 in February and “significantly” outperformed the broader equity market in the first two months of the year, with freestanding retail being the industry’s top-performing sector year-to-date, according to the National Association of Real Estate Investment Trusts. Sectors of the of the U.S. REIT market that delivered double-digit total returns for the first two months of 2014 included freestanding retail, the top-performing sector, delivering a 16.37% total return. Self-storage was up 12.94%; apartments were up 12.23%; the home financing segment of the FTSE NAREIT Mortgage REITs Index was up 12.14%; Industrial was up 11.02%; and Office was up 10.03%. NAREIT reported that while the S&P 500 was up 4.57%, on a total return basis, the FTSE NAREIT All REITs Index was up 4.69% in February, the FTSE NAREIT All Equity REITs Index was up 4.67%, and the FTSE NAREIT Mortgage REITs Index was up 4.30%. At Feb. 28, the dividend yield of the S&P 500 was 2.01% while the dividend yield of the FTSE NAREIT All REITs Index was 4.04%, and the dividend yield of the FTSE NAREIT All Equity REITs Index was 3.59%. The dividend yield of the FTSE NAREIT Mortgage REITs Index was 9.56%, with Home Financing REITs yielding 10.71% and Commercial Financing REITs yielding 6.61%. Among individual equity REIT market sectors, four produced dividend yields greater than 4%: freestanding retail (5.72%); health care (5.38%); mixed industrial/office (4.53%); and diversified (4.37%). The apartment sector came close to reaching that benchmark with a 3.79% dividend yield.